This is a great photo of the diabolical BIZ MARKIE taken by the similarly legendary photographer JOE CONZO. 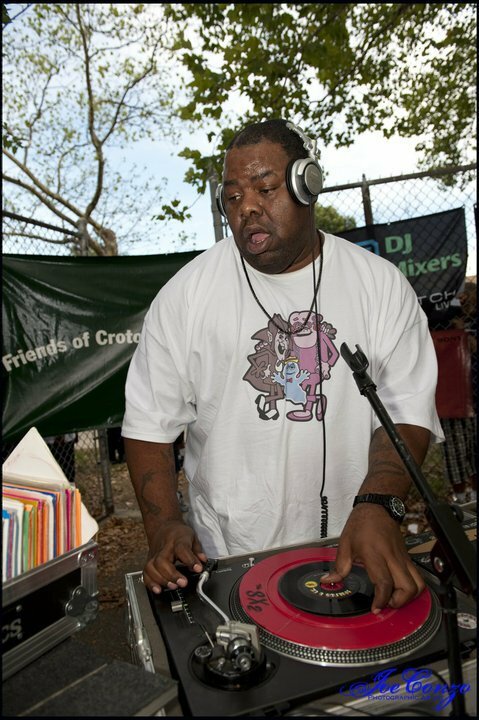 As you can see BIZ is certainly in the zone whilst spinning his selection of 45s (looks like the OG of "last night" by ESTHER WILLIAMS on the deck). Check out JOE CONZO here. Homeboys makin noise, as I do browse through a girl's blouse!"